Dr. Pat Maher is an Associate Professor of Community Studies and Outdoor Leadership at Cape Breton University (CBU). He holds a University Teaching Chair in Community Engaged Teaching and Scholarship. Away from CBU, he holds adjunct status at the University of Northern British Columbia and Dalhousie University. He has been a Visiting Scholar at the Norwegian School of Sport Sciences (2012 & 2017), Southern Denmark University (2018), University Centre of the Westfjords, Iceland (2018), Vancouver Island University (2012), University of Edinburgh (2012), and Cambridge University (2003). He is an affiliated researcher with the Centre for Recreation and Tourism Research at West Highland College – University of the Highlands and Islands (Scotland), and the Centre for Recreation Research at the University of Otago (NZ). 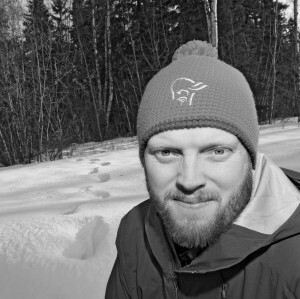 Dr. Maher is chair of the International Polar Tourism Research Network and the lead for the University of the Arctic’s Thematic Network on Northern Tourism. He is a member of the University of the Arctic’s Academic Leadership Team, a member of the Humanities and Social Sciences Expert Group of the Scientific Committee on Antarctic Research, and an Expert on Tourism for the Polar Research and Policy Initiative. Dr. Maher is editor of the Canadian Journal of Environmental Education, former editor (and current Associate Editor) of the Journal of Experiential Education, and Associate Editor of the Canadian Journal for the Scholarship of Teaching and Learning. He also sits on the International Advisory Board of the Journal of Adventure Education and Outdoor Learning and the Editorial Board of the Journal of Tourism Futures. Dear Mr.Maher, we have a propasal for cooperation. All our attempts to send you an email are failed. Could you please contact me. Thank you very mach. Anna, Thank you for your note – I will email you via the contact info Kirsi has given me.